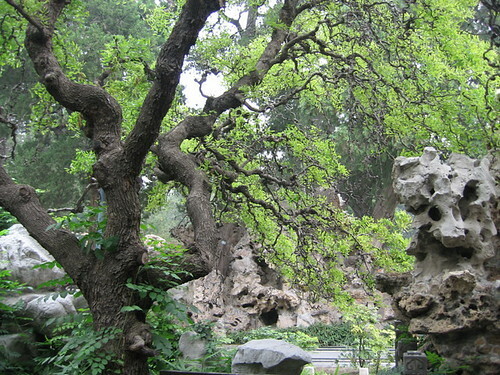 China is one of the great destinations for visiting gardens. The influence over garden design and the vast array of plants and flowers is secondary to the investment in time and dedication demonstrated in so many great locations. This is just a selection of those you may consider visiting if you can make the journey.. The Garden of Contentment has an evocative name that for many sums up the essence of gardening. 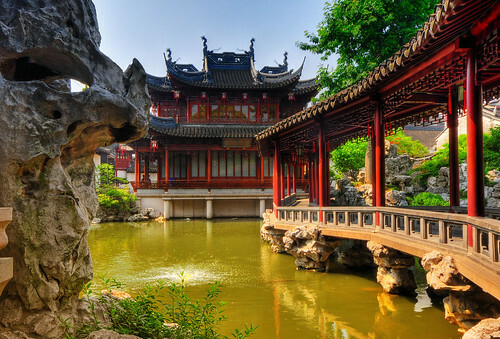 This feeling of tranquility will be found in many of the gardens we are considering visiting but this Shanghai location is an exceptional place to start our virtual garden tour. Whilst in Shanghai it is worth a visit to the local Botanic Garden with its collection of old bonsai and many acid loving plants. 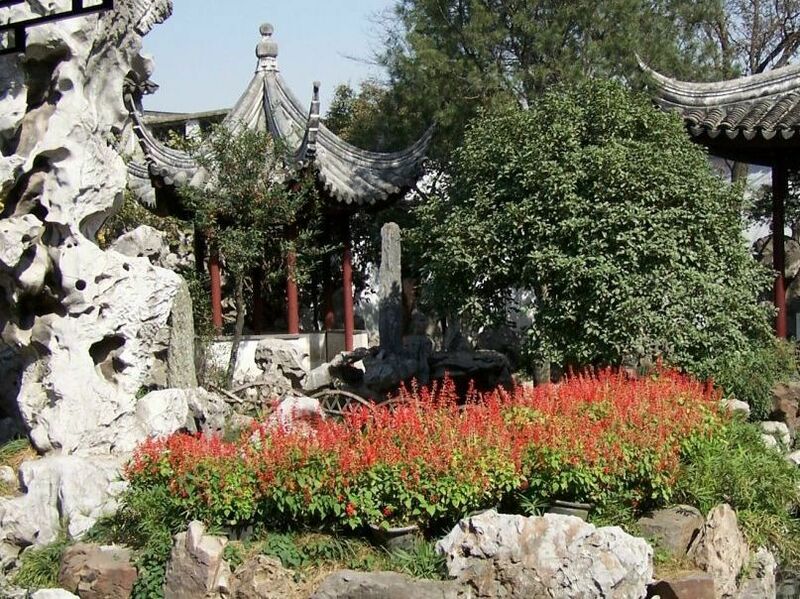 For keen gardeners the best location must be the ‘Silk City’ of Suzhou where you have a choice of choice gardens to visit. The name Lingering Garden makes me want to invent a name for my own patch, perhaps that should be the patchwork garden. The image is of the Lingering garden from Wonderlust and Lipstick inspiring women travellers. The Canglingting or Dark blue wave garden is deceptive in its use of pools and local scenery whilst the Humble Administrators Garden is anything but humble as the largest garden in the city. The Circular Grace Mountain Villa blends with the rocky out crops making traditional use of the landscape evocative of Chinese painting. The star amongst so may great cultural heritage sites is the The Master of the Nets Garden a household garden and one of the smallest but highly recommended. It is about one thousand years old and is inspirational particularly in the design and linking with the living accommodation. ‘Even more than the architectural achievement is the mood of tranquillity and harmony that this humble garden embodies. This exquisite garden was first designed during the Song Dynasty (960 – 1279) as part of a residence that was used until the Taiping Rebellion in the 1860’s. It was later restored and became the residence of a government official from whom the garden got its name. The garden is divided into three sections: a residential section, the central main garden and an inner garden. 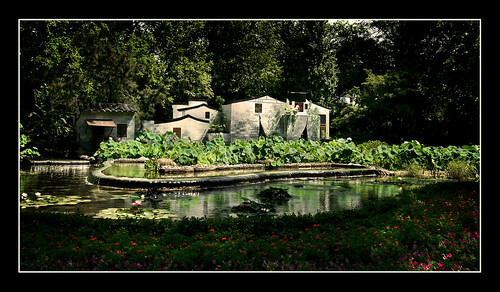 The main garden has a large pond that is surrounded by pathways and a variety of buildings such as the Ribbon Washing Pavilion, and the Pavilion for the advent of the Moon and Wind. There are many more buildings that are situated so that there is never a sense of crowding, but always of spaciousness. 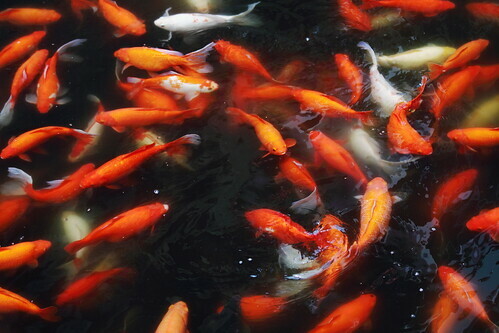 As is common in Suzhou gardens, the pond has a small pavilion in it. Here the pavilion is accessible by a bridge that is less than one foot wide. Kunming Botanical Garden, Wuhan Botanical Garden Lushan Botanical Garden, Hangzhou Botanical Garden and Guilin Botanical Garden. 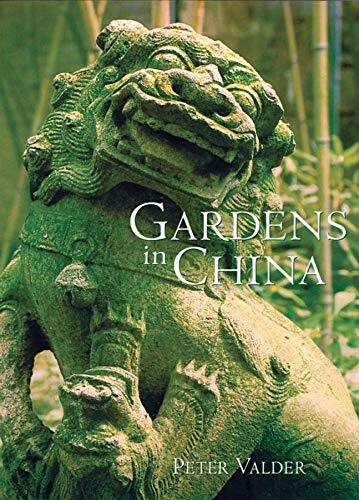 From amazon ‘Valder’s illuminating compilation of more than 200 gardens promises to provide the ultimate resource for future travelers before mbarking on a trip they can study and savor images and information on diverse horticultural realms located throughout China… A lavish record of famed Imperial gardens as well as fascinating examples of lesser-known temples, parks, and botanical arboreta… Encompassing a treasury of plant portraits, stunning architectural details, and awe-inspiring vistas, Valder’s chosen topic is rendered in such depth as to rouse armchair dreamers and act as a call to action for avid garden trekkers. YuYuan Garden by Wolfgang Staudt CC BY-NC 2.0 ‘Yuyuan Garden, first established in 1559, is located in the center of the Old City next to the Chenghuangmiao in Shanghai.